An administrative law judge has ruled the director of the Iowa Finance Authority who was fired over sexual harassment allegations is not eligible for unmployment benefits. 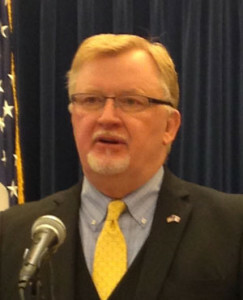 Governor Kim Reynolds fired Iowa Finance Authority director Dave Jamison in late March, a day after two of the agency’s employees complained to the governor’s chief of staff about Jamison’s behavior. An administrative law judge has ruled the allegations against Jamison were “credible,” he was discharged for “job related misconduct” and he was owed no “prior warning” he’d be fired. Jamison got nearly $3200 in unemployment benefits. The judge said Jamison won’t be required to repay the state for that amount because the governor’s office did not challenge his initial application for unemployment benefits.